Broadly speaking there are two kinds of professional practice skills relevant to the burgeoning field of gerontological human service: clinical modalities and macro strategies. 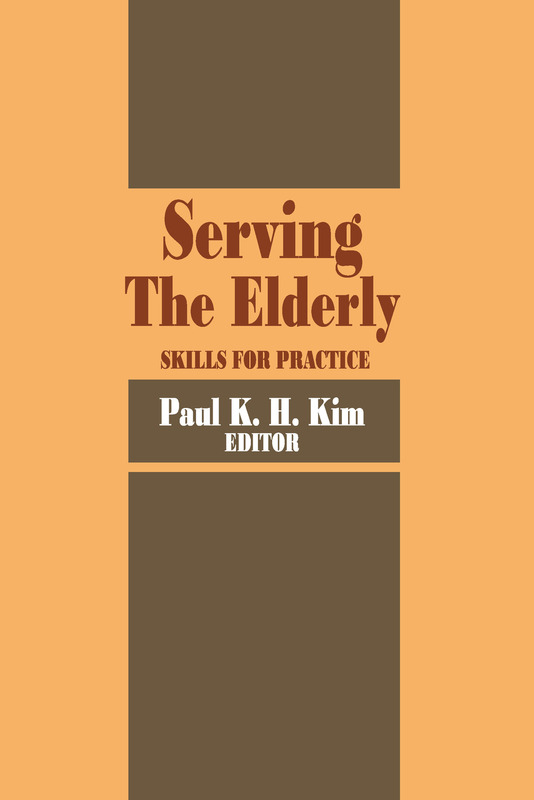 This book identifies seven essential approaches to clinical gerontology, including five of the most important macro skills that all professionals in the field will need to acquire, and it presents each of them in a single collection intended to serve as a basic text and reference work for academic and in-service training. Each contributor to this volume speaks with recognized expertise on his/her preferred subject, while mindful of the larger purpose of the collection as a whole. In a concluding chapter, Dr. Kim draws on his own long and successful experience in obtaining financial support for his programs and provides a wealth of useful information on the preparation of grant proposals and the conduct of other fundraising activities. Serving the Elderly is adaptable to the uses of a wide variety of geriatric health care providers, from students and trainees in social work, clinical psychology, and other care-giving professions to already established practitioners who are branching out in gerontology.